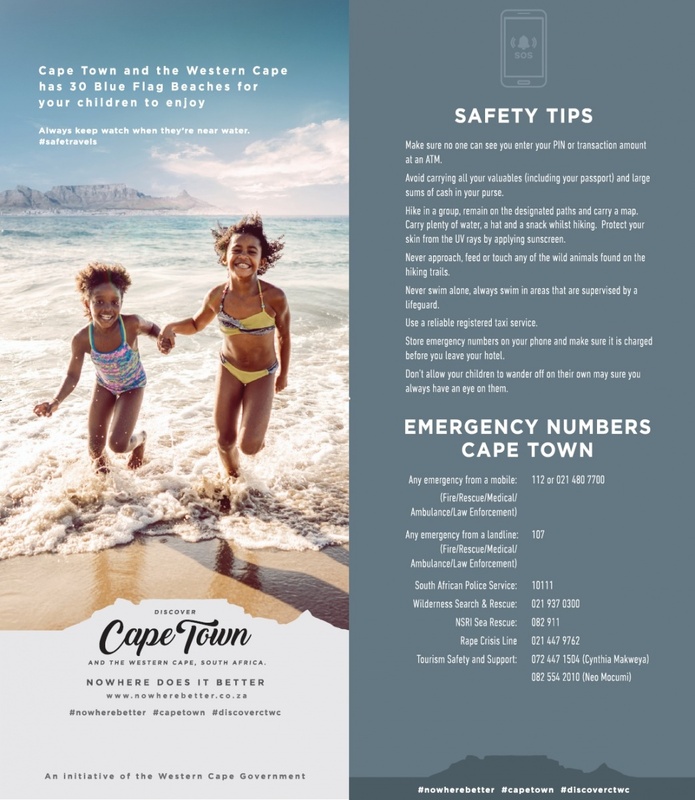 The Western Cape Government’s Tourism Safety and Support Programme provides assistance to visitors who may be in distress during their stay in the Western Cape. Advise on short-term temporary accommodation. Help with basic necessities, where possible. Help with contacting family or friends. Advise on with short-term transport arrangements. Contact embassies and consulates in case of lost passports and visas.